Along with many affordable options available, Ahmedabad real estate market is known for the abundance of quality, luxury residential properties in the city. So, if you are an aspiring homebuyer planning to invest in Ahmedabad's luxury real estate market, MakaaniQ lists the five costliest localities in Ahmedabad based on the PropTiger data for October 2017 to December 2017. Pricing: With properties prices at Rs 8,000 per sqft, Satellite is one of the expensive yet desired locations in west Ahmedabad. High-end properties including villas and spacious apartments are in great demand here. A 3BHK apartment of 2,000 sqft size is priced at an average of Rs 1.3 crore; 4BHK apartments of 4,500 sqft size have an average price of Rs 6 crore while other luxury houses of higher sizes are priced up to a maximum of Rs 13 crore. There are over 20 ready-to-move-in housing options in Satellite, at present. Livability: Satellite has a livability score of 9.4. Replete with social amenities, Satellite also has easy connectivity to the international airport beside a good road and rail link. The growth of commercial and retail spaces have positively impacted the residential market in Satellite. Pricing: Bodakdev is an upmarket territory in Ahmedabad with an average property price at Rs 7,000 per sqft. There are over 30 new residential properties in this area. Given its image of a premium housing destination, 3BHK are the more popular sizes available here which are priced at Rs 1.4 crore for an area of 2,500 sqft. Sized at 4,500 sqft, a 4BHK apartment costs Rs 3.8 crore whereas apartments of higher sizes between 6,000 sqft and 8,000 sqft are priced between Rs 6.2 crore and Rs 8 crore. Livability: Bodakdev has a livability score of 9.3. Nestled along the SG Highway, it is close to localities like Vastrapur, Ambli, Satellite, Ambavadi and Gulbai Tekra. Efficient public transportation and arterial roads interlinking the localities provide connectivity advantages to Bodakdev. Commercial complexes are nearby with a well-developed social infrastructure. Pricing: A square foot of space in Gulbai Tekra is available for Rs 7,000. This area in the central suburb is a good alternative to Bodakdev and has over 10 newly launched properties. The cost of a 3BHK apartment is Rs 2 crore for a size of 2,500 sqft. A house with four bedrooms sized at 4,000 sqft is priced at Rs 2.6 crore while larger apartments are available for Rs 5 crore. Livability: Gulbai Tekra has a livability score of 9. The area enjoys proximity to Near Vaishno Devi Circle On SG Highway, Nava Naroda, Thaltej and Vatva. There are dozens of schools, hospitals and entertainment options and facilities for daily needs making this locality a flourishing residential destination. 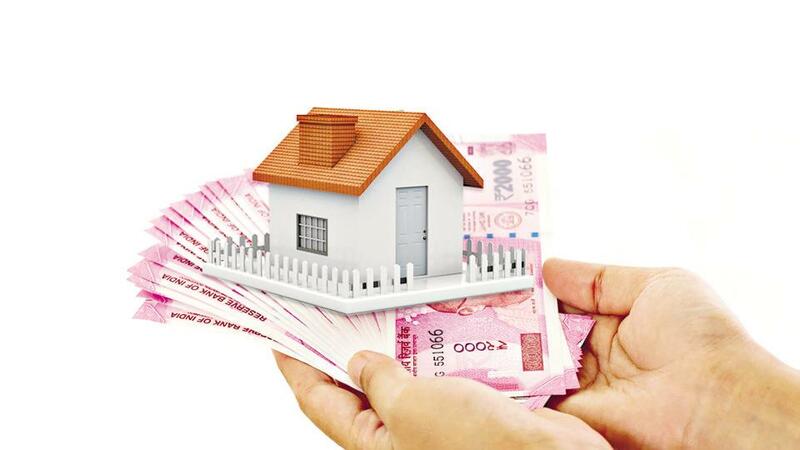 Pricing: One square foot of a property space in Prahlad Nagar costs Rs 6,400. The area has availability of over 30 ready-to-move homes. In Prahlad Nagar, 2BHK apartments of 1,400 sqft size are priced at Rs 84 lakh; 3BHK apartment of 2,000 sqft area are priced at Rs 1.1 crore whereas 4BHK and 5BHK apartments sized between 3,000 sqft and 6,000 sqft are priced between Rs 2.5 crore and Rs 5 crore. Livability: Prahlad Nagar has a livability score of 9. Tucked within a cluster of popular residential localities, Prahlad Nagar is linked to S. G. Highway and National Highway 8. Many industries, MNCs, BPOs, commercial complexes including the Gujarat International Financial Technology City and sea ports nearby make this region a busy location. Metro rail and other necessary infrastructure provide the residents the much-needed comfort of a contemporary lifestyle. Pricing: Residential properties in Ambli have an average price of Rs 6,300 per sqft. There are over 15 new apartments available for homebuyers. An apartment of 3BHK layout with area of 2,000 sqft costs Rs 1.6 crore. Luxury 4BHK apartment of area 3,000 sqft has a price of Rs 2.7 crore whereas 5BHK and 6BHK spaces of higher size range of 4,000 sqft and 7,000 sqft have pricing between Rs 3.2 crore and Rs 5.5 crore. Livability: The livability score of Ambli is 8.5. Situated east of Satellite and Bodakdev, Ambli is another high-end locality which offers numerous options for a stylish living. It is located on the Bopal road and has been a preferred location for buyers seeking luxury homes in Ahmedabad. Presence of popular housing brands and quality infrastructure, enhance the livability quotient of Ambli. Note: Livability score is a score given to a locality on the scale of 10. It signifies the quality of life a family or an individual can enjoy living in that particular locality. This is calculated on important parameters including location, price, amenities, physical and social infrastructure, projects, developers operating, etc.